Randy considers it a bit ironic that he moves so freely from one side of restrictive covenant litigation to the other. He has worked both sides of the fence, at times representing companies and at other times employees in cases that concern trade secrets, noncompete clauses and nonsolicitation agreements. He enjoys the relatively fast pace of these types of cases, being able “to run into court and get it done.” Clients appreciate his efficiency. Randy has clients in industries as diverse as corrugated packaging, chemical manufacturing and healthcare. He represents them in all matters relating to labor and employment law, from day-to-day counseling to class action litigation. 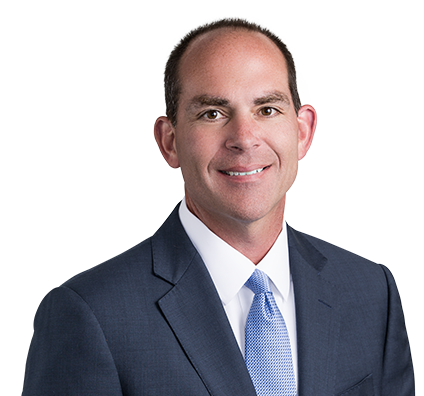 Randy also has argued employment discrimination cases in a long list of U.S. district and appeals courts, making his practice national in scope. Secured summary judgment for ammunition manufacturer in defense of workers' compensation retaliatory discharge allegation. Provides day-to-day labor & employment counsel for manufacturer of polyurethane and recycled rubber products. Awarded numerous summary judgments for healthcare entities, Fortune 100 and Fortune 500 clients in myriad of employment discrimination claims in state and federal jurisdictions across the United States. Won defense verdict on behalf of pharmaceutical company on whistleblower claim. Worked on integration team for a $29.1 billion acquisition on behalf of Fortune 100 pharmacy benefits manager, making it one of the largest pharmacy benefits managers in the United States. Randy enjoys golf in many forms, including rounds on the weekends, corporate outings and charity tournaments. Randy has a buddy golf trip scheduled in 2018 to Brandon Dunes to celebrate his 50th birthday.